The organisers of the rapidly approaching Battle of Evesham 2015 Festival have announced the support of the Worcestershire branch of the Federation of Small Businesses (FSB). The FSB will be sponsoring the Best Dressed Shop Window competition and also the planned Children’s Treasure Hunt. The shop window dressing competition will encourage local businesses to become involved, with prizes available for the business with the best window display. Any local business that wishes to be part of this should contact the festival organisers as soon as possible to get their FSB window display tag – designed to encourage visitors to the town and festival. Alongside the shop window dressing competition, the FSB is sponsoring the Children’s Treasure Hunt, another activity designed to attract visitors and potential customers to the town. 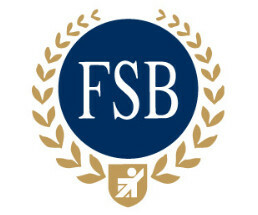 The FSB is going all-out to support local businesses throughout the festival. The Battle of Evesham was fought on the morning of the August 4, 1265. 2015 is the 750th anniversary and Evesham will be commemorating the battle and Simon de Montfort's legacy with a battle re-enactment over Saturday 8 and Sunday 9 August, with a series of tours and talks taking place between Saturday 1 August and Saturday 15 August. Media information: Mark Symington/Toby Aiken on 01386 443300. Simon de Montfort (1208-1265) was a French nobleman who inherited the title and estates of the earldom of Leicester. He led the rebellion against King Henry III of England during the Second Baron’s War of 1263-64, and subsequently became de facto ruler of England. During the battle of Evesham on 4 August 1265, at which the opponents of the King were defeated, Simon de Montfort was killed. His body was dismembered and his followers were deprived of their estates. Simon de Montfort’s remains were buried near the high altar at Evesham Abbey and his tomb became a rallying point for later generations that opposed the powers of the monarchy. Simon de Montfort’s contributions to English constitutional development were not so much in the actions of his life, as in their symbolism for later reformers.